Datalife Engine CMS is a commercial CMS script (software), developed SoftNews Media Group. The development was started in 2004, was based on a CutePHP system. - The main language of the system - Russian . However, there is an English and the Ukrainian localization. - In the script also included admin panel that allows you to control various settings of the script. 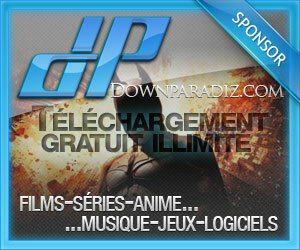 DataLife Engine is a commercial CMS script (software), developed SoftNews Media Group. The development was started in 2004, was based on a CutePHP system. - The main language of the system - Russian . However, there is an English and the Ukrainian localization. - System developers offer AJAX technologies that reduce bandwidth consumption. 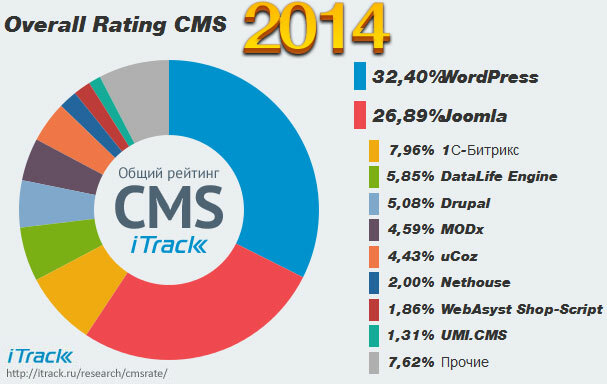 Rated CMS, conducted on the basis of statistics on registered sites in runet (SEO) company iTrack, the share of this system in 2010 was ≈ 11%, for example, higher than those for CMS, like Drupal or MODx. 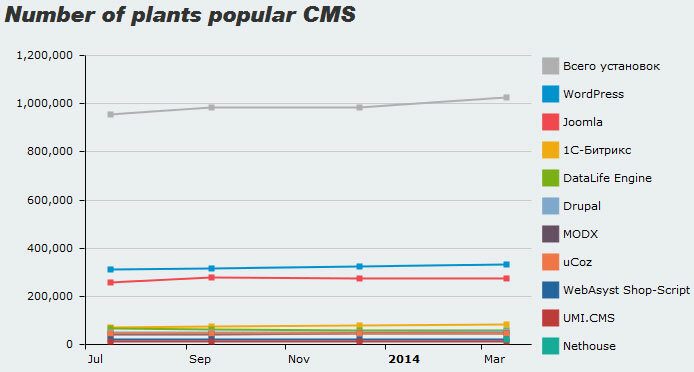 However, the vast majority of installations this CMS is a pirate "vanishing" version, iTrack Considering this fact, consider this system in the category of "post free CMS, where it position: 8-9%. Indirectly, this fact is confirmed and is not too high a position in the ranking of DLE SEO conducted a survey of Web Studios, where was in 2009 and 2010 consistently ranked all-just 15 among the packaged systems, but in the 2011 ranking CMS reached the 14 position. As the world of statistics, information on the site W3Techs.com, collected from a million most popular sites according to Alexa, Data Life Engine 2011 entered the Top 10 popular CMS, finishing in seventh place with a share of 1.9%. iTrack presents an independent ranking for content management systems (CMS) based on information on real installations at websites. A specially trained "spider" (search engine) regularly visits all websites in the .ru domain area and collects information for processing.